DARSA kennel is a small, non commercial kennel, our dogs share our home with us, living a very happy "doggy-life". I've been involved with dogs since 1984. I became a FCI International judge in 1987. 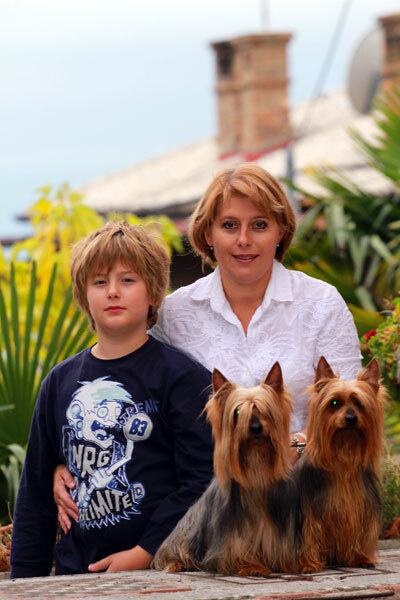 My first imported Australian Silky terrier arrived in 1985, and in 1993 I started breeding this beautiful breed. We have a litter only when we want a pup for ourselves or when we have a good, interesting combination in mind. We are trying to breed healthy, typical dogs with good temperament. We choose future owners very carefully and our pups are available only to breed-lovers who will take as good care of them as we do. We breed Australian bloodlines only. All our dogs are health tested. DARSA PUPS ARE NOT AVAILABLE TO COMMERCIAL BREEDERS OR RE-SELLERS.